Eco gifts, fair trade gifts, organic gifts - there’s so much to choose from at EthicalSuperstore.com! If you love the products in our shop but would rather let your friend or loved one choose, our gift vouchers are the perfect solution. 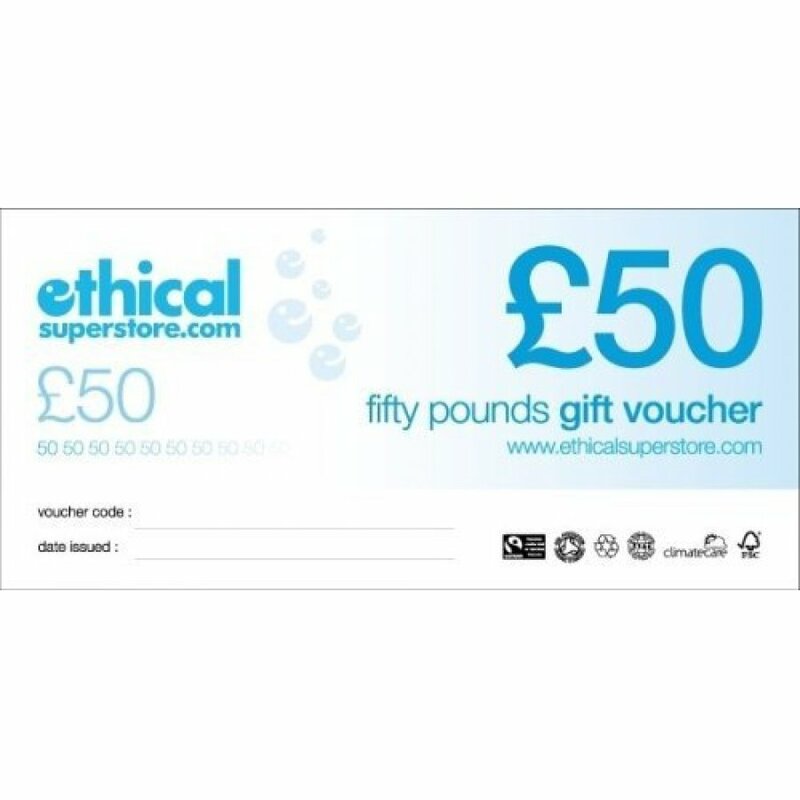 Available in £10, £20 or £50 denominations, Ethicalsuperstore.com gift vouchers can be used as whole or part payment on any of the products on our webshop. There’s no delivery charge on our gift vouchers (printed on recycled paper). The voucher was bought as an award for a Fairtrade campaigner. If you look on Aberdeen Fairtrade's Facebook page you will see her. As for the voucher,well it was just an ordinary voucher, but I daresay Thelma will use it as a chance to buy something lasting, perhaps for her home. But I'm just guessing. Q: I wanted to know whether part of a gift voucher can be used at a time, or does it all have to be used in one go? e.g. if i bought a £50 voucher, coudl i use it to pay for £25 one time, then use the remaining balance another time? A: Hi yes, you would have to use the whole voucher in one go as you have to enter a code in at the checkout to redeem the voucher. As an alternative, however, you could purchase two £20 vouchers and one £10 voucher to give greater flexibility? Robyn. EthicalSuperstore.com seeks to bring you the finest fair trade, organic, and eco friendly products from around the world as well as ones local to you.